White men earn a median $21 an hour, making more money than women across all races, according to a Pew Research Center analysis of Bureau of Labor Statistics data. They also earn more than black and Hispanic men, who make a respective $15 and $14 median hourly wage. The only group that out-earns white men is Asian men, who earn $24, according to the report. On average, women’s hourly earnings were lower than those of white men and men in their own racial or ethnic group. Black and Hispanic women respectively made $13 and $12 an hour. Asian and white women made $18 and $17 an hour — lower than white men — but higher than those of black and Hispanic men. Even controlling for education, white men still out-earned most groups, according to the report, except for Asian men. Pew Research did not break out data for specific Asian-American sub-groups. White women have gone from earning, on average, 60 cents for every dollar earned by a white man in 1980 to 82 cents in 2015, narrowing the wage gap by 22 cents, according to the report. 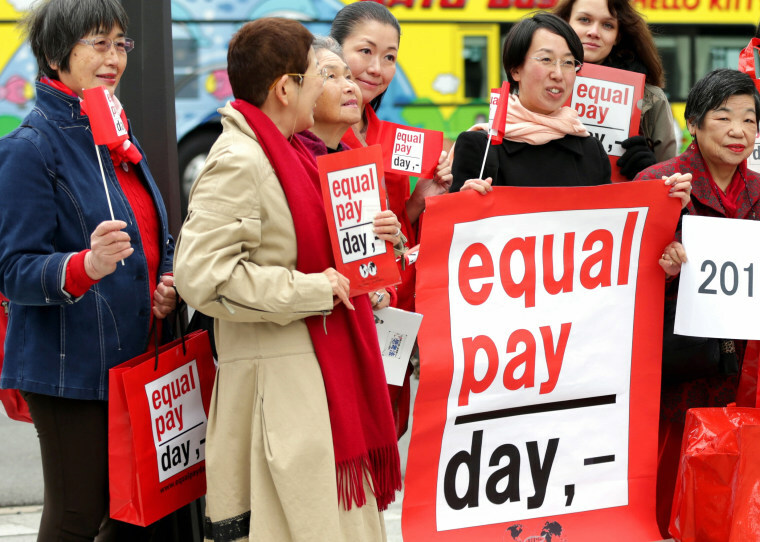 Asian women roughly followed the same trajectory, but make 87 cents per dollar earned by a white man in 2015. Wages made by black men made no growths over this 35-year period, and Hispanic men only improved their median hourly income by two percent compared to white men’s earnings. Black women and Hispanic women improved the gap by nine and five cents, respectively. According to the National Bureau of Economic Research, education and workforce experience accounted for eight percent of the gender wage gap in 2010, with industry and occupation accounting for 51 percent of the difference. With regards to race, sociologists Eric Grodsky and Devah Pager concluded that 52 percent of the wage gap between black and white men was explained by education and workforce experience, while occupational differences explained another 20 percent. The remaining gaps are often attributed to discrimination, they said. Sixty percent of Americans say black and white adults are treated more or less equally. However, about 21 percent of black adults and 16 percent of Hispanics say they’ve been treated unfairly in hiring, pay, or promotion because of their ethnicity or race, while only 4 percent of white adults commented similarly. Twenty-seven percent of women say their gender has made it more difficult to succeed in life, while only seven percent of men say the same.